As we all know, clan war spying is an important way to stay ahead of your enemy clan during clan wars. Clan War spying is when you send someone to the enemy clan and they then scout the enemy bases looking for traps and CC troops. 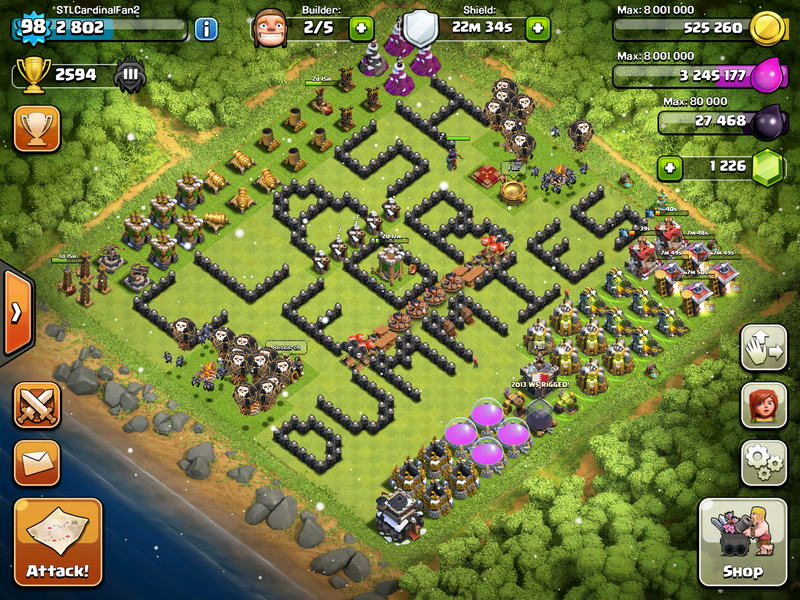 Learning how to do this and how to prevent this is an important part of winning clan wars! Knowing what troops an enemy clan has in their Clan Castle can mean the difference between a win and loss. Therefore, it will help a ton if you knew what troops lay inside. The best way to spy is sending a close friend (who isn’t in the war) over to the opposing clan. It is very important that they aren’t in war, otherwise they might not be accepted. Once there, your friend should say “Hi” and get to know them for a few minutes and then quickly take screenshots of the enemy bases. Make sure they glance in the clan’s war castles as well. Then, they can return to your clan and message the screenshots to you. This provides a HUGE advantage in war. Now, obviously, you don’t want another clan trying to spy on you. The easiest way to prevent this is just closing your clan during the war period. However, this isn’t much fun. I would suggest only letting people in that you have recruiting from global or that you personally know. This will ensure that no spies come to visit you. What if a Spy Does Join Your Clan? Say one of your newest elders accidentally lets in one of the enemy clan’s members. What’s the best way to combat this. Well first kick them as fast as you can. They might get a screenshot of your base, so I would change it as fast as possible to something random. This will throw your attackers off during preparation day. Then, as soon as Battle Day is about to begin- switch your base back into a completely new war base. This will make their spying useless! I hope this guide helped you learn the basics of Clan War spying! Keep checking back here for new posts about Clash of Clans! Clash of Clans Hack iMod Ended with April Update! Hey,would you like to join? How do you get those cool pictures for your header image???? Cool! What do you use? Just photoshop…. Takes a bit of time! Reblogged this on Minecraft Clash of Clans and More.